The Lazy Gardener tells us how to decrease the effort and increase the enjoyment of having a garden, in an amusing but practical way. Readers can get right to the heart of their problems by starting with a fun, hands-on quiz called HELP I'm Too Busy to Read This Book, or spend a leisurely afternoon reading the book from cover to cover. The author covers everything from choosing the right plants for your environment to designing a manageable garden and paring down chores. The book is illustrated with beautiful drawings by Vasily Kafanov. Mara Grey has been a professional gardener for over 20 years. Her weekly radio show, The Lazy Gardener, is broadcast in Washington, and she has a newspaper column by the same name. Grey writes for such publications as Horticulture Magazine, and teaches classes on gardening and landscape designthis year she will be teaching a Lazy Gardener course. 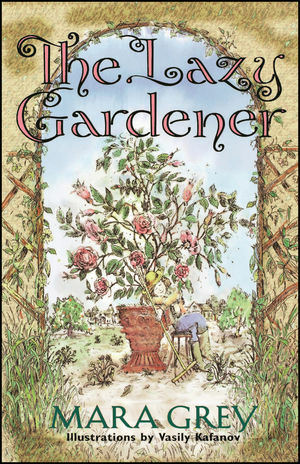 Mara Grey and Vasily Kafanov are the authors of The Lazy Gardener, published by Wiley.